Organizing my makeup has always been a bit of a challenge for me. I’ve tried it all. Counter organizers, bag organizers, giving up. The problem with counter organizers in the past have been two-fold: they’re either too large for the amount of counter space I have available or they don’t work quite right with my cosmetics. The holes are too small or too large and it’s just off. Today’s Fabulous Find has solved both of those solutions. 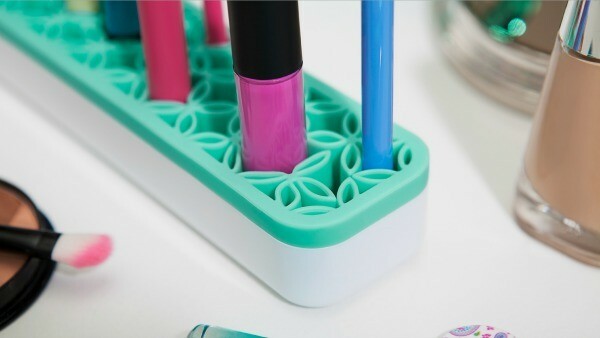 The Zen Cosmetics Makeup Organizer is small enough to fit on my counter and features a unique silicone design to accommodates primping tools of varying sizes. The grippy silicone base holds everything from brushes to pencils to tweezers. The sleek design, which comes in an assortment of colors including grey, pink, teal, and coral; looks fabulous out on your counter. 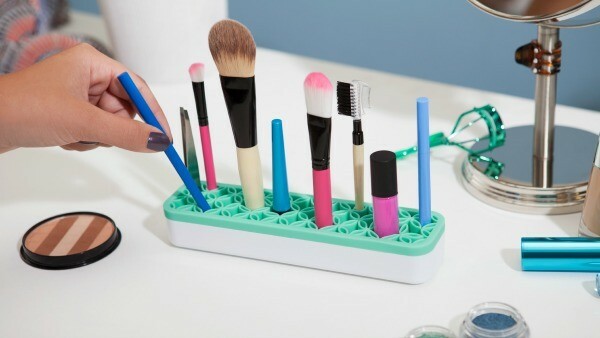 You don’t have to give up design appeal, even when it comes to organizing your cosmetics. 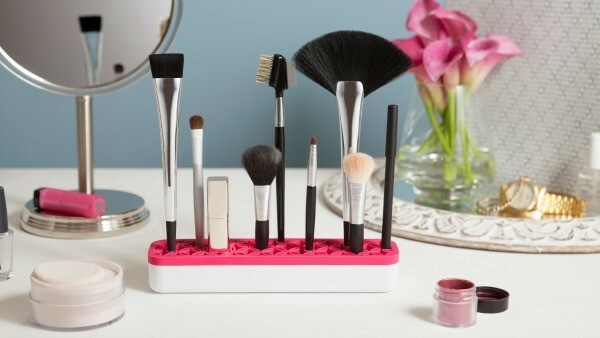 You can purchase the Zen Cosmetics Makeup Organizer for $14.99 at Quirky.com.